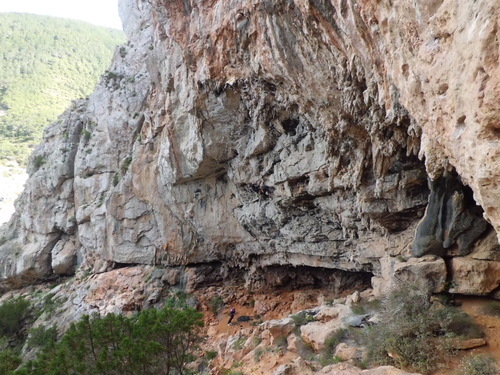 The Club Eivissenc de Muntanya has rebolted the Egagropiles cave, with exception of the route number 9 called "Scratch comando". There're some new routes as well: "Princesa Peach" which is betwen the routes "Palo" and "Los autenticos" and one at the beginning of the sector "Los masqueperros" to the right of the 6c's. The grades are not confirmed!